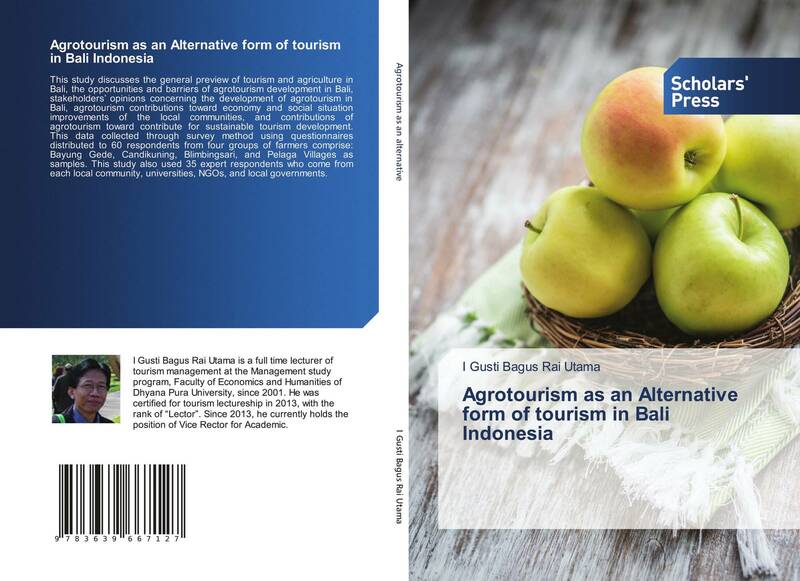 This study discusses the general preview of tourism and agriculture in Bali, the opportunities and barriers of agrotourism development in Bali, stakeholders’ opinions concerning the development of agrotourism in Bali, agrotourism contributions toward economy and social situation improvements of the local communities, and contributions of agrotourism toward contribute for sustainable tourism development. This data collected through survey method using questionnaires distributed to 60 respondents from four groups of farmers comprise: Bayung Gede, Candikuning, Blimbingsari, and Pelaga Villages as samples. This study also used 35 expert respondents who come from each local community, universities, NGOs, and local governments.